In an effort to contain growing costs, the Texas Senate voted Tuesday to make it harder for veterans to pass free in-state tuition benefits onto their children. Universities have been pleading for help with those spiraling costs. In an effort to contain growing costs, the Texas Senate voted Tuesday to make it harder for veterans to pass free in-state tuition benefits on to their children. By a 24-7 vote, senators approved new restrictions to the Hazlewood program, which offers free school to veterans after they serve in active duty, and can be passed on to children if the benefits are unused. Under the new version, veterans would need to serve longer and pass on their benefits sooner if they wanted one of their dependents to be eligible. The proposed changes follow universities' pleas for help with the spiraling costs of the program. Senate Bill 1735 will now go to the House, where similar legislation is already being considered. Supporters said the bill is necessary to keep the Hazlewood program alive. And even if the changes go into effect, Hazlewood will remain the most generous state-run veterans’ tuition program in the country, they said. 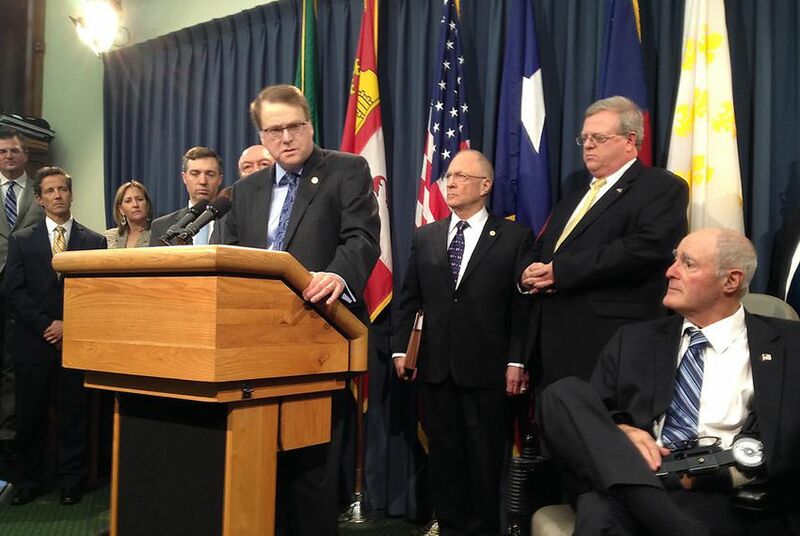 “Action is prudent now to save this program for future generations,” said the bill’s author, Sen. Brian Birdwell, R-Granbury. The Legislature began allowing veterans to pass on their benefits to a dependent in 2009. At the time, lawmakers expected a limited financial impact. But costs have grown exponentially since then. Last year, the cost of covering Hazlewood benefits was $169 million. That number could grow to $379 million by 2019, according to the Legislative Budget Board. And in January, a U.S. District Judge ruled that the state couldn’t deny tuition to a veteran who was a resident of another state when he enrolled in the military. That prompted worries that thousands of veterans would move to Texas with the goal of passing their benefits on to their children, which would increase costs even more. Birdwell’s bill would adjust the program so that only veterans who enlisted in Texas would be eligible. And children of veterans would need to meet several parameters to receive benefits. For one, a veteran would need to serve six years in active duty before he or she could pass on the benefit to a child. Currently, veterans only need to serve 180 days. In addition, the ability to pass on the tuition would expire after 15 years. And the student receiving the “legacy” benefits would have to maintain a 2.5 grade point average and take 24 class hours each year. The legacy students would still receive enough free tuition to pay for a full bachelor’s degree. A previous version of the bill would have only paid for 60 hours, or about half of what is usually required for an undergraduate degree. “I know that this is a major concession that many of the veterans have been working for,” Birdwell said. After the vote, many senators praised the efforts of Birdwell, who served in the Army and earned a bronze star during Operation Desert Storm. But not everyone was pleased. Some veterans groups have said the legislation goes too far. And state Democrats have accused lawmakers of breaking their promises to veterans. The lead opponent of the bill during Tuesday’s debate, Sen. Jose Menendez, D-San Antonio, didn’t go that far. But he did try to pare back some of Birdwell’s proposed changes. Menendez offered amendments to the bill that would have lowered from six to four the number of years needed to serve before the benefits are passed on. Most veterans who have served since Sept. 11, 2001 served four years or less, he said. He also sought to raise the expiration date for the benefits from 15 years after active duty service is complete to 25 years. Many veterans have children right after their service is over, Menendez said. With a 15-year maximum, those children wouldn’t be able to benefit, he said. But Birdwell said that was by design. Children whose parents are in active duty are sharing in their parents’ sacrifice, he said. Those children are the ones who Hazlewood benefits should target, he said. Chuck Bagnato, executive director of the Lone Star Veterans Association, said those restrictions are harmful to young veterans. Someone who served four years in active duty after Sept. 11 may have done three or four combat tours, he said. That kind of person deserves to pass benefits on to a child, no matter when that child enrolls, he said.